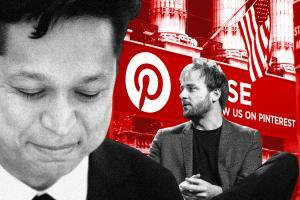 Pinterest's initial public offering makes much of the collaboration between Chief Executive Officer Ben Silbermann and Chief Design and Creative Officer Evan Sharp. A letter from the pair to prospective investors dwells on “our story” and “our company.” Both are described as co-founders and directors. But when it comes to ownership, their partnership isn’t so equal. 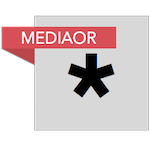 The latest prospectus shows that Silbermann and his beneficiaries will control a stake valued at about $970 million at the middle of the pricing range, according to calculations by the Bloomberg Billionaires Index. Sharp’s holding in the digital scrapbook firm is seven times smaller, or about $135 million. Another co-founder, Paul Sciarra, who left the company in 2012, has about a $720 million stake. A spokeswoman for the San Francisco-based firm declined to comment. Pinterest is offering 75 million shares for $15 to $17 apiece and seeking to raise as much as $1.28 billion. The firm has applied to list on the New York Stock Exchange under the ticker PINS. The founders’ different stakes reflect Sharp’s lesser involvement in the early days of Pinterest. He met Silbermann after Sciarra and Silbermann had started Cold Brew Labs, which was renamed Pinterest in 2012. Discrepancies between co-founders are common. Spotify Technology SA’s stock debut left Daniel Ek with a $2.4 billion stake and his co-founder Martin Lorentzon $3.4 billion. Lyft’s recent listing showed co-founders Logan Green and John Zimmer had holdings of about $800 million and $600 million, respectively, in the ride-hailing company.